← Who Is the Woman of Prophecy? It has been said that the best way to hide something is to conceal it within plain view. What is that supposed to mean? As regards God’s Word, it means that if we assume that we understand a certain thing, when in reality we do not, then we are not going to be as receptive to the truth when it presents itself, since we imagine that we already know it. By that means, then, Jehovah is able to conceal from us within plain view as it were, whatever he wishes. What “things will come to their finish”? Well, the entire book of Daniel is a series of “wonderful things”– astoundingly accurate prophecies that reveal in great detail the political developments beginning in the pre-Christian era that lead up to the end of the entire global civilization that has dominated and tyrannized the world for the last few thousand years. When the appointed time, times, and half a time expire, then God’s kingdom will be in complete control of all of earth’s affairs and a peaceful new system will have begun. The time is coming when Jehovah’s Witnesses will be forced to confront the delusion that the relatively minor hardships that the handful of Bible Students experienced back in 1918 – or any time since then – was the beginning of the time of the end and the fulfillment of the prophecies that call for the holy ones to be brought to ruin. The prophecies of the time of the end lay ahead of us – not behind. The prophecy clearly reveals that immediately following the allotted period of time when God’s people are brought to ruin (also known as the time of the end), that then is the end of all the things that Daniel had foretold. In other words, it is the end of this wicked world. Besides, how can it possibly be true but“the wonderful things” have come to their end? Strangely, for all the commentary that the Watchtower Society has offered on the book of Daniel, very little has been written about the king fierce in countenance. Up to this point the Society has identified the king as being the Anglo-American combine. But even worse, they have come to the unjustifiable conclusion that much of the prophecy was fulfilled back during the Second World War. And supposedly the “holy place” was brought into its right condition when the Society’s charter was amended to make for a more theocratic organization. Bethel seems to have overlooked the fact that the prophecy says that the holy ones are brought to ruin during a period described as “a freedom from care.” By no stretch of the imagination could the period of the Second World War and the Nazi Holocaust be described as a period when the world enjoyed “a freedom from care.” Besides, it would seem to be a gross exaggeration of the plain facts to say that Jehovah’s Witnesses were brought to ruin in America or within the realm of the British Commonwealth of Nations during WWII. Who else besides Jehovah’s Witnesses would believe such a thing? (Ironically, the few tens of thousands of Jehovah’s Witnesses back on the eve of World War Two appear to have been better informed regarding world conditions than the millions of Jehovah’s Witnesses now. Here is a YouTube recording of a convention talk given by J.F. 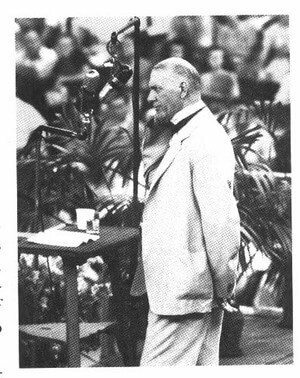 Rutherford in 1938 entitled: Face the Facts.). But, indulging in “a freedom from care” seems to perfectly describe the Western world at this particular point in time – a world obviously totally self-absorbed with its own amusements and pursuits and oblivious to reality. If for no other reason than the obvious inconsistency mentioned above, Jehovah’s Witnesses should want to re-examine the prophecy of Daniel. 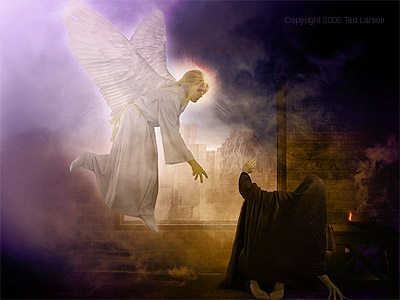 But, before more closely considering the angel’s explanation of a king fierce in countenance, as contained in the span of verses from Daniel 8:23-25, take note of the harmony of the four prophecies of Daniel that deal with the advent of God’s kingdom. Beginning in the 2nd chapter of Daniel with the simple prophecy of the metallic image of Nebuchadnezzar’s dream, the prophecies become increasingly more detailed; ending with the three-page chronicle of the king of the north and king of the south. However, from the simplest to the most complex, each vision ends the exact same way; in that, all four prophecies abruptly conclude with a singular political agency being directly vanquished by Christ. For example, the Watchtower has merely assumed that the king of the south is on hand when Michael stands up to destroy the king of the north. What Bethel has failed to take note of is that there is no further mention of the king of the south beyond the point when the king of the north floods over into all the lands and subjugates “Egypt.” The detailed prophecy of the king of the north and king of the south ends with a single king – the king of the north – who comes all the way to his end with no helper to intervene for him. Surely, it is no mere oversight on the part of the angel who outlined history in such detail to have omitted any mention of the king of the south. As regards the 2nd chapter of Daniel, the metallic colossus with the head of gold, breasts of silver, belly of copper, supported on the legs of iron and feet of iron mixed with clay, represents a single composite kingdom that is ultimately shattered by God’s kingdom. That is in keeping with the singular king of the north and a singular king fierce in countenance who are annihilated by Michael, the prince. Until recently the Watchtower had interpreted the iron and clay to symbolize an indistinct “politically divided world.” However, in the June 15th 2012, Watchtower Magazine, Bethel revised their view so as to recognize the iron and clay to symbolize a specific political entity – the Anglo-American duo. Although Jehovah’s Witnesses may not realize it, as with the recent revision regarding a future judgment of the “slave class,” the Watchtower has adopted the view expounded by e-watchman for the past decade. Inexplicably, though, the same Watchtower article (linked to above) still propounds the preposterous tale that the three horns plucked out of the wild beast by the small ascending horn was fulfilled in the 17th century, during the days of wooden sailing ships! – See article: The Spanish Armada or World War III? . To underscore the harmony of Daniel the king of the north subjugates “Egypt,” the original king of the south and also its historic allies – Libya and Ethiopia. That trio – Egypt, Libya and Ethiopia – likely correspond with the three horns that are plucked out. That same event – still future – is likely also what is betokened in Revelation with the sword-stroke upon the head of the seven-headed beast. Also, the two-horned beast that arises from the earth pictures the Anglo-American duo arising from the abyss after their collapse. But as regards the metallic image, since it would seem to be in inverted order, with the feet of iron and clay upon which the image stands symbolizing the most recent world powers, the question ought to be asked: What does the image itself represent? As the Watchtower recognizes, Revelation depicts the two-horned Anglo-American beast fabricating an image that it will eventually coerce the world into worshipping. Also, in the 17th chapter of Revelation the image that comes to life is portrayed as being an 8th king, which is a composite of the remnants of seven previous empires. 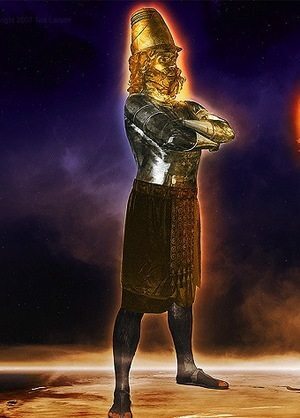 Again, to preserve the harmony of prophecy, Jehovah’s Witnesses must eventually come to recognize the symbolic metal image of Daniel represents the 8th king. Similarly blatant calls for empowering the United Nations could be cited ad infinitum. But the fact is that the empowerment is already well under way. Much of the superstructure and infrastructure for the physical edifice of a world government already have been built. The United Nations’ official organizational chart and the world map (below) give an ominous inkling of the global leviathan that is already in place. But only an inkling; it actually vastly understates the magnitude of the organizational sprawl of the UN worldwide, since it merely shows the locations of the headquarters offices of the main UN agencies and only a few of the many regional offices or field operations of these agencies. With that eventuality in mind we are now in a position to anticipate how the prophecy of the king fierce countenance may yet unfold. “The final part of their kingdom” evidently refers to the Anglo-American dual world power. True to history, it is an established fact that the modern world of extended European civilization can trace its cultural and philosophical roots back to ancient Greece. Paradoxically, the two antagonistic systems of today embodied in the Anglo-American system both had their origin in ancient Greece. While Greece is known as the “cradle of democracy” and republicanism, Alexander’s empire is also the forerunner of the Roman, Venetian and British empires as well. This striving of two competing kingdoms and ideologies is in harmony with what is also revealed in Daniel concerning the struggle between the kings of the north and south and explains the incompatible iron and clay amalgam that does not stick together. It perfectly symbolizes the modern Anglo-American dyad, which is the uneasy alliance of imperialism and republicanism. But, as noted previously, one force wins out. Apparently “the king of fierce countenance” is the champion of the empire. In recent years various terms have come into use, like globalization, new world order, free trade, global governance and internationalism, and slogans like, “think globally and act locally,” and expressions referring to the global village, and so on. Our modern lexicon has many somewhat ambiguous terms related to globalism. But, what exactly is the new world order anyway? What is globalization really all about? Many observers have come to understand that the ideology behind these “ambiguous sayings” has to do with conditioning and propagandizing in behalf of ultimately doing away with the sovereignty of individual nation-states. For example, in regards to the ongoing controversy over free trade, up until recently each nation determined how it would go about protecting and nurturing its own domestic markets and industries by regulating the importation of goods from other nations. Now, though, various international treaty agreements mean that individual nations no longer have that right. Globalism subtly subverts the sovereignty of nations by transferring the authority to determine the internal affairs of nations to an international court of arbitration. The United Nations is unique, in that, it is the only government that has ever existed on this planet that does not have a specific nation as its power base. The UN derives its authority and power from the consent of all its member nations. To the extent that each nation relinquishes a portion of its own sovereignty, and to the degree that each nation contributes funds, military equipment and personnel to the UN, to that extent it is empowered. Of course, the Anglo-American establishment is the primary supporter of the UN – New York City being home to the UN headquarters. Although, obviously, the United Nations already exists, and historically Great Britain and the United States have been the UN’s strongest advocates, according to Revelation 13:14-15 at some point we may expect the fabricated image of the wild beast to have life breathed into it so that it takes on a life of its own. The prophecy reveals that eventually the 8th king will demand submission from every person on earth under pain of death. We begin to get some idea of the authority and power that the UN is yet to acquire when we consider what Revelation 17 and 18 foretells what is to occur when Babylon the Great is destroyed. When organized religion is eventually annihilated by the 8th king, as Jehovah’s Witnesses have expected for some time, the prophecy says that even the kings of the earth who gave their power to the 8th king will “stand at a distance because of their fear of her torment and say, ‘too bad, too bad, you great city. '” Under the circumstances of any sort of global catastrophe and international crisis, it does not require a vivid imagination to envision the UN requisitioning the world’s armies and even nuclear weaponry so that no individual nation would dare challenge its power. In this way the king fierce in countenance must become mighty in power. To date the Watchtower has never offered any sort of satisfactory explanation as to how the British Empire or America might have become mighty, but not by its own power, nor has it ever offered a single comment on how the Anglo-American kingdom may have brought ruination “in a wonderful way.” Since we cannot point to any sort of historical development that would support such a thing, it must be that the prophecy awaits a future fulfillment. Since both kings – the king of the north and the king of fierce countenance – are said to be successful until the very end, they are obviously the same entity. The envelopment that is enveloping over all peoples and enmeshing all the nations has to do with the imposition of a globe-strangling, genocidal, dictatorial, tyrannical regime – the likes of which this poor war-ravaged planet has never seen. That Jehovah would use that setting to describe his doing away with death and wiping the tears from the eyes of his people is an indication of the horrors that await us in the future when the king of fierce countenance succeeds in causing widespread ruin. The period following WWII has been a period of relative peace and prosperity, generally speaking. The children born in the post-war era, the so-called “baby boomer generation,” have not known the hardships of their parents and grandparents that lived through the Great Depression and the Second World War. Consequently, most have become accustomed to the idea that nothing will change. However, Jehovah has envisioned an entirely different fate for this wicked system of things. His word says that at some point men will become so desperate that they will throw their worthless money into the very street. Actually, such a thing is not so far-fetched when we consider what happened in Germany in 1923. Germany’s currency was destroyed due to hyperinflation and became completely worthless, which was the intention of the Versailles Treaty architects. Those whose wealth was held in the Reichsmark were ruined. There are more modern examples that we can point to as instances where mighty nations are brought to ruin by being reduced to poverty through currency devaluation and outright confiscation. Greece and Cyprus are the most recent victims of imperial plundering and enslavement. But this has been an ongoing process that is merely accelerating. Debt has always been the tool of the empire to enslave peoples and nations. The sovereignty of nations is tied to the viability of their domestic economies and currencies. In recent years, the U.S. dollar has become the world’s preferred currency. Ominously, though, America also has the unenviable distinction of having gone from being the world’s greatest creditor nation to the world’s greatest debtor. That means that the world has put its trust in America to make good on its paper promises. At some point, soon, that promise must inevitably be broken. The Bible principle that the borrower becomes a slave to the lender holds true in the case of nations too. Ironically, the United Nations is the only government that is not in debt. Already, plans are underway to sink the Dollar and replace it with a new currency. As was done with Cypress, most likely the central banks that hold US Treasury debt will require payment in gold, which will then become the basis for anew monetary system administered by the United Nations. In this way the king of the north will come to rule over the hidden treasures of the gold and silver of the king of the south and the mighty ones will be brought to ruin. Satan’s entire wicked world is run from the top-down based on deception. Therefore, the ones most adept at deceiving others are the ones that succeed in this world. While many people will admit that government leaders, politicians, and businessmen often lie to the public, few people are mentally up to the challenge of accepting that there is such a thing as a conspiracy to destroy the nation-state system of things. Most people have been subtly conditioned to dismiss such a thing as the paranoid delusions of conspiracy nuts and UFO crackpots. Yet, the reality is that there is now in place the bureaucratic infrastructure for a global government, and that the nation-state system has been brought into a situation whereby its collapse seems all but certain. 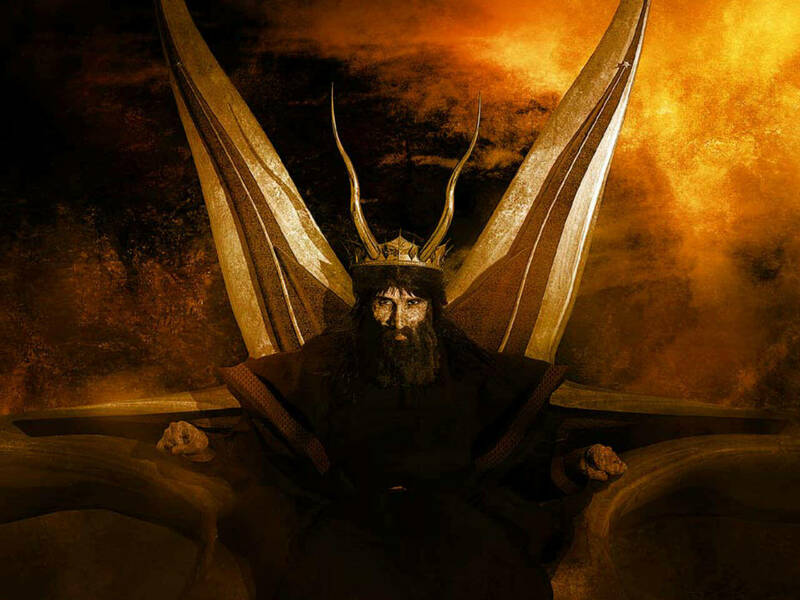 Judging from the progress that has been made so far, it is apparent that the king of fierce countenance has shown great insight into human nature, as well as political and financial matters, and he has thoroughly deceived the nations as to the nature of his intentions. Behind the seeming benevolent façade of being a peacekeeper and of protecting human rights, and of trying to save the planet from war, poverty, and ruin, the United Nations stands poised to hamstring the nations and implement the Prince Phillip’s and the British Empire’s agenda of reducing the earth’s population by as much as 80%. Since the UN is most assuredly the agency that Jehovah will ultimately assign to punish the nations, evidently they will fully implement their genocidal policy at some point during the world’s nightmarish last hour. Jehovah’s judgment upon the world is that it should become victimized by itself in a global holocaust that far exceeds the Nazi and Communist pogroms of the 20th century. It will be a fitting end for a world that will refuse the loving hand of the Savior upon his return. No government has ever been so presumptuous so as to take to itself the authority of the Messiah. Yet, the UN claims that if the nations only empower it, that it will be able to do what no human institution has ever done before, namely: bring true peace to the world by making the nations beat their swords into plowshares. The UN asserts that it is the only real protector of human rights. The UN advances the idea that all national governments are obsolete and that they must go so that the world can enjoy the true benefits of globalism. Not only does the UN presume to fulfill Isaiah’s Messianic prophecy, it is well- known that the UN has been the promoter of New Age pantheism. It was the official policy of communist regimes to suppress all religion, and especially Christianity. So, it should not seem at all surprising that world socialism is similarly disposed towards religion. We may expect, then, that when Daniel 8:12 says that the king of fierce countenance “kept throwing truth to the earth, and it acted and had success,” that not only will Christendom be destroyed, but that the work of Jehovah’s Witnesses will be suppressed as well.